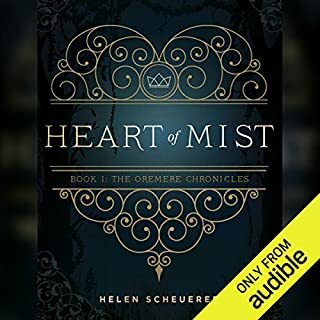 Forced to reveal her power to save a friend, she's shocked when, instead of being executed, she's invited to train as one of Her Majesty's royal sorcerers. 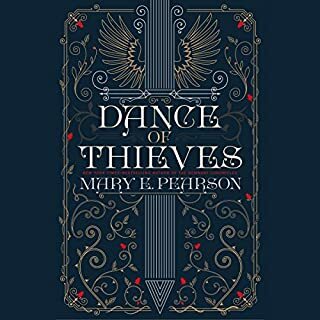 As she plays a dangerous game of deception, she discovers that the sorcerers have their own secrets to protect. With battle looming, what does it mean to not be the one? And how much will she risk to save the city - and the one she loves? 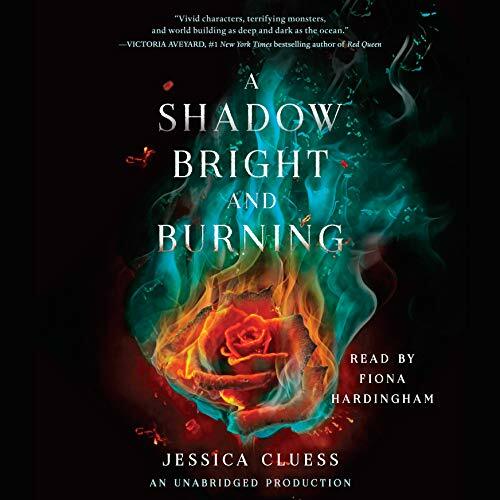 Exhilarating and gripping, Jessica Cluess' spellbinding fantasy introduces a powerful, unforgettable heroine and a world filled with magic, romance, and betrayal. 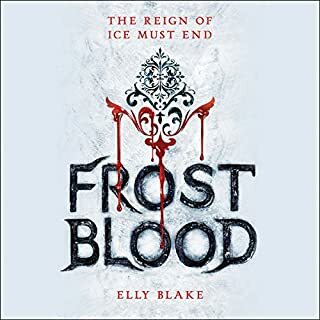 For fans of Libba Bray, Sarah J. Maas, and Cassandra Clare. This book is a perfect mix of magic, mystery, friendship (just thinking about what Rook and Henrietta have gives me all the warm feels) and creepiness (I say this as someone who absolutely can't handle horror so some people probably won't find this all that creepy but there was one sentence that really creeped me out, just thinking about the words and the way the narrator said them gives me chills). If people are looking for romance they really aren't gonna find any here, I mean there is kind of romance but also not, it can easily be dismissed and I liked it like that. I liked the fact that in my opinion it was all about friendship, the friendship between Rook and Henrietta but also the friendship between Henrietta and the other sorcerers. I did have some problems with Henrietta, but nobody is perfect. Overall I really liked it and recommend it to everyone! I liked the overall concept of this story although sometimes the characters annoyed me. I think I like one of them and then they go and do something stupid and have to redeem themselves. It was really up and down throughout the entire book but I think it has a lot of potential to become a great series. The story started off great. But it ended up dragging. I actually skipped through the last 1.5. The story has promise, and might come together next book. But I hate when a mystery drags on too long. The relationships didn't develop enough and romance some what flat. I'm shocked I'm not really giving it a good review. Because I love Fiona Hardingham. I could try to rethink k this book. It just seemed like they had a great idea but then met writers block and we had to sit through it too. Story is ok. The performance...UHG!! Story was ok. Not to give much away but I’ll say a bit predictable. The performance was painful. Sometimes she sounded like an automation, sometimes British and every so often I thought of French. I think I need to read the book for myself to see if it was actually written in the weird, choppy way it was read. So many pauses and the main character always sounded exhausted. I almost didn’t finish the book. Would I recommend? Not so much. I looked for a new book for months and just stumbled across this one and hands down is now a top favorite. I’ve always love the whole magic scene like Harry Potter and such and this one created a strong female character whose not so washed up in a love story that it ruins the action and heroism! This felt like a compilation of all my favorite bits and pieces from large iconic movies such as Harry Potter magic, hunger games action, and a little pride and prejudice character development. 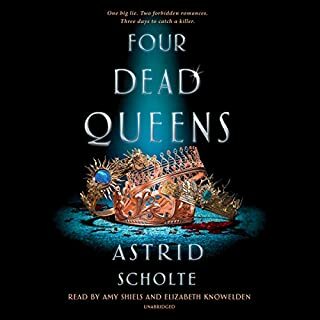 Can not wait to listen the second book, will be dying for the third! This is the best story and narration that I’ve experienced in a long while. I already have the second one ready to go! Thank you, ladies, for sharing your works with us. 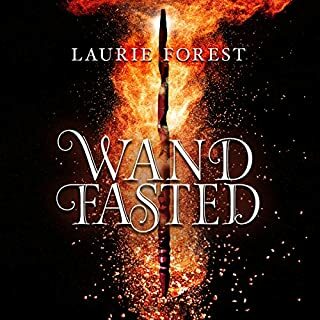 The Victorian England backdrop and the interesting dynamics of the sorcerer/magician/witch hierarchy made this book feel very different and new compared to other YA books out there. I loved it and am immediately going to read the sequel. A very interesting story - a nice new creative take on magic. The narrator was good - did a great job with the characters. If you like Victorian England with magic, this is the story for you. My only negative is the series isn't complete so you have to wait for the books to be released. 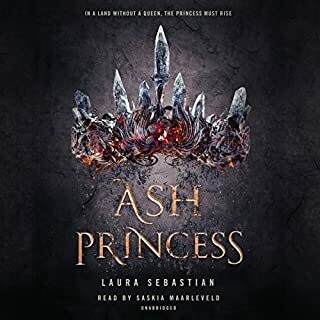 Where does A Shadow Bright and Burning rank among all the audiobooks you’ve listened to so far? A Shadow Bright and Burning ranks in the definite Top, 5-star ratings. My favorite character was, after Henrietta Howel of course, Magnus. I thought he'd be the one to betray her, but he was so darned likable and funny. Other than her lovely accent, she brought the characters to life. She didn't just read the story, she gave each character personality and realism. Not many readers do that. I absolutely could have listened to this novel in one sitting. Sadly, I am a homeschool teacher and housewife, so I listen when I'm doing chores, or in between lessons.